Product Features: • Condom Compatible • Water-Based • Non-Staining • Adult Toy Safe. Best-selling product, ID Glide provides you with all the slip you could ask for in a water-based lubricant! Use it during intimate moments between you and your partner for an exceptional sensual experience. Use it by yourself and delight in your own moments of bliss while kicking off some stress. Use it on your toys and enhance the sensation for a more enjoyable time. This lubricant is good to use in just about any sexual encounter you might find yourself in. Looking for the best water-based personal lubricant? 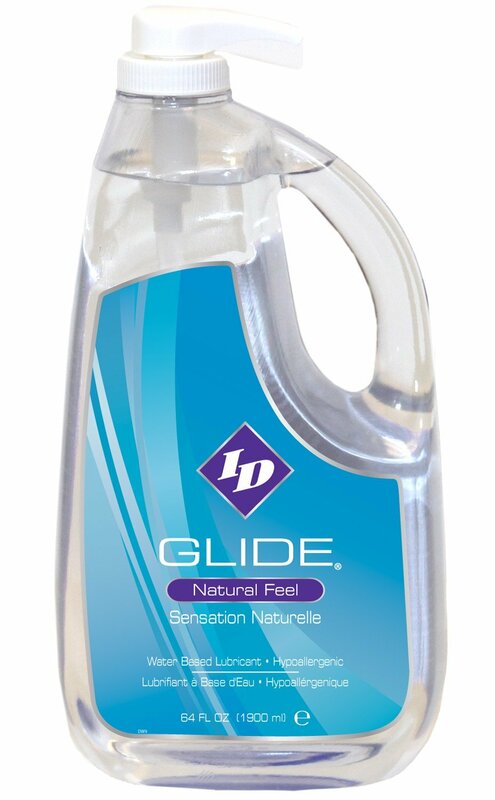 Glide is by far the best water-based lube option for intimate moments. It can easily be re-activated with a drop of water or saliva should if it begins to dry out. Worrying about stains is not an issue as this lube was designed not to leave behind any unseemly stains.